If Donald Trump wins in November, U.S. stocks would fall about 8%, erasing all its gains for the year. That's according to models from forecasting firm Macroeconomic Advisers, which estimates that a Trump victory would cause stocks to head south dramatically, riled by the uncertainty of his economic policies, which include threats against Mexico and China, two of America's top trade partners. "There's just a lot of uncertainty surrounding a Trump presidency," says Joel Prakken, senior managing director at Macroeconomic Advisers. "There's all kinds of stuff to be worried about there." The S&P 500 is up 6% so this year. Markets hate uncertainty. And Trump's policies -- or lack of detail about them -- raise eyebrows, Prakken says. Conversely, if Hillary Clinton wins, stocks would bounce up about 2%, according to Macroeconomic Advisers. Since her policies are considered similar to President Obama's and her odds of winning are higher, her victory would cause less of a stir in either direction. Macroeconomic Advisers bases its model on something called "equity risk premium." Simply put, it is the expected amount of extra return that investors receive from riskier assets like stocks versus safe government bonds like Treasuries. If Trump's poll numbers rise, risk premiums rise in tandem, Prakken notes. There are different ways of calculating this premium, including surveys. Prakken's model is based on polling from FiveThirtyEight, the website run by election predictor Nate Silver. By Monday, FiveThirtyEight placed an 82% chance of Clinton winning and nearly 18% chance of Trump win. Macroeconomic Advisers updated its model on Friday. 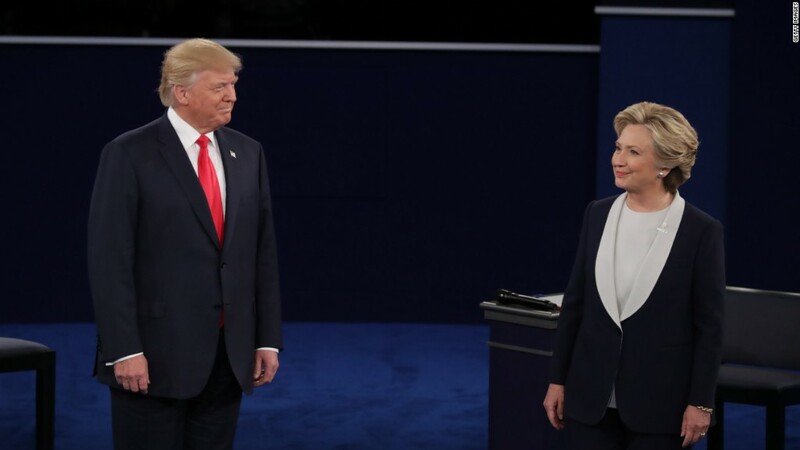 But it does not account for Trump's lewd comments about women revealed Friday afternoon or his debate performance Sunday night. Trump's odds of winning have gone down a bit since, according to FiveThirtyEight. If they continue going down until election day, that would make a Trump victory even worse for stocks. "If Trump wins, then it'll be a surprise, and you'll see a quick movement in the markets," says Prakken.